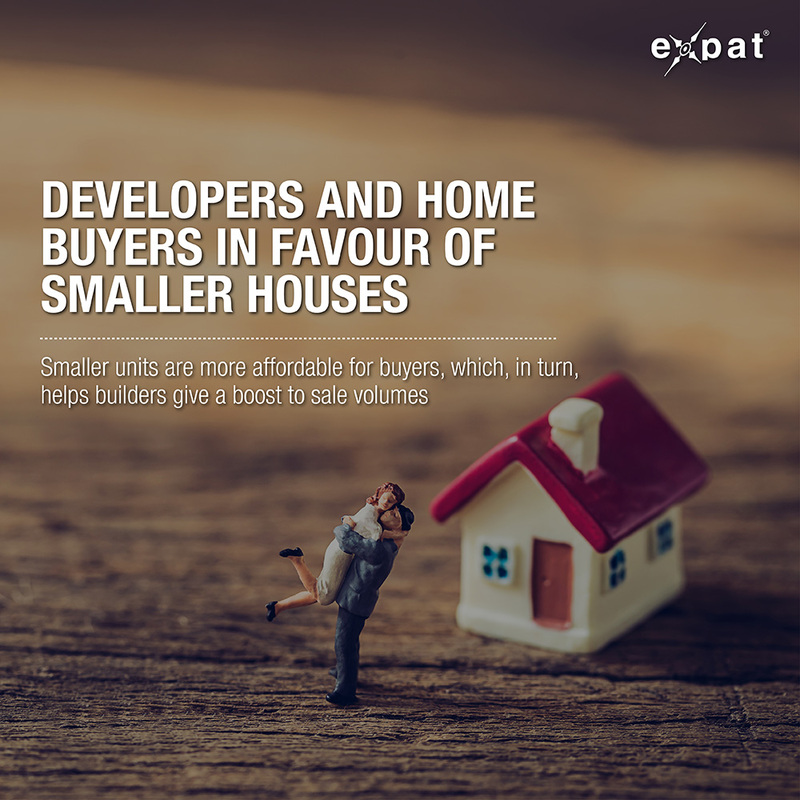 Smaller units are more affordable for buyers, which, in turn, helps builders give a boost to sale volumes. Developers are also reducing the average size of apartments to reduce per unit cost. The average apartment and villa unit sizes have fallen 3% and 18%, respectively, over FY14; to keep the overall units costs in an optimum range, the report stated. “To increase velocity in a slow market, it makes sense for developers to come up with new offerings to attract fresh customers. One of the new offerings is smaller units. There is a large demand in the affordable segment and by bringing down the size of apartments, developers are able to attract and cater to them,” said Mudassir Zaidi, national director, residential, Knight Frank (India) Pvt. Ltd. Developers have been reducing the average size of apartments for the past few years, especially in metro cities. According to a report published by JLL India in August last year, “Average apartment size in Mumbai saw a decrease of 26.4% in the past five years.” For the same time period, Bengaluru registered a 23.7% reduction in average apartment sizes, followed by Chennai at 22.2% and Pune at 7%, it stated. The demand and supply of even 1-bedroom-hall-kitchen (BHK) units has increased. 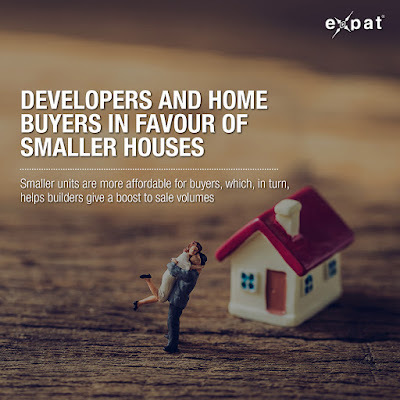 “Demand is better for small units like 1-BHK houses than for bigger units,” said Rajesh Prajapati, managing director, Prajapati Constructions Ltd, a Mumbai-based developer. According to the PropTiger report, 1-BHK units accounted for 22% of the total residential sales in FY16 (up from 21% in FY15). The demand for such units was mostly concentrated in cities like Bengaluru, Pune and Mumbai. “Being a hub of IT industry, Bengaluru has a lot of migrant population because of which there may be higher demand for such houses,” said Mahesh Prabhu, executive director, Century Real Estate, a Bengaluru-based company. But this may not be for all types of locations. “The developer tries to reduce the size of the house in locations where the per sq. ft prices are higher, to control the overall cost of units. In suburbs or locations where prices are low, we need not do so (reduce size),” said Prajapati. The increased demand for affordable houses also has to do with the new incentives that were announced in this year’s Budget for developers as well as home buyers. Service tax exemption was announced on affordable houses of up to 60 sq. meters constructed by central or state government, including public private partnership. Besides that, there is also 100% tax deduction for profits from housing projects that have apartments up to 30 sq. meters in four metro cities, and 60 sq. meters in other cities, and have been approved during the June 2016 to March 2019 period. Also, to get the tax benefit, the project has to be completed in three years. These factors can help developers reduce cost of construction. For home buyers, additional tax benefit comes in the way of interest deduction of Rs.50,000 on a home loan. This will help many home buyers bring down the cost of purchase. Moreover, with the real estate Act, the sector may see a positive response from home buyers over time. However, “in the present scenario, any sharp increase or decrease in prices is not expected,” said Zaidi. If you plan to buy a property, stick to one that is completed or is near completion as cash flow issues persists for developers. Second homes, your first choice?